February is American Heart Month. As such, during this month, we focus on educating our members on heart disease risk factors, as well as helping them develop or continue habits that can help keep their hearts healthy. According to the United States Department of Health & Human Services, heart disease is the leading cause of death for men and women in the United States. Every year, 1 in 4 deaths are caused by heart disease. The good news? Heart disease can often be prevented when people make healthy choices and manage their health conditions. major and contributing, can be influenced by identifying and changing unhealthy behaviors. Smoking: According to the American Heart Association, smoking increases your risk of heart disease or stroke by 2 to 4 times. 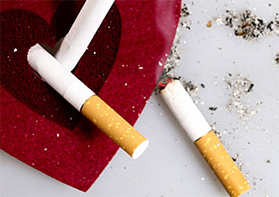 Women who smoke also have a 25% higher risk of developing heart disease than men who smoke. If you smoke, you should take the steps now to lay out a plan to successfully quit. When you make the decision to quit, pick a quit date and share it with your friends and family. Lay out your quit plan and have a coping plan in place to help deal with cravings. Once you quit smoking, your risk of developing heart disease will start to decline and eventually reach the levels of a nonsmoker. Physical Inactivity: In order to reduce your risk of heart disease, you should aim for about 150 minutes of regular physical activity each week, approximately 30 minutes on most days of the week. Regular physical activity should include both cardiovascular and strength training exercises. If you do not currently exercise, make sure you check with your physician to ensure that you are healthy enough to begin an exercise routine. Regular physical activity can help improve your cholesterol, lower your blood pressure, increase your energy, increase bone strength, and can help prevent weight gain. Walking is a great way to increase your physical activity with minimal impact on your body. 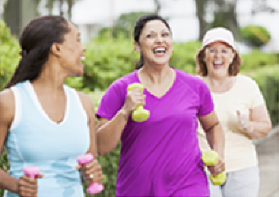 Include your friends and family on your daily walks to help get fit together. Stress: During stressful situations, your body produces adrenaline which will increase your heart rate and blood pressure. 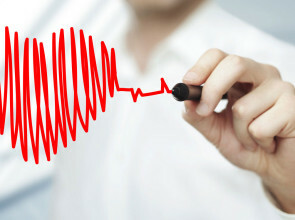 Sustained periods of high stress can lead to negative effects on your heart health. Think about how often you can be in stressful situations — home, work, or even long lines at the store can place your body in sustained periods of heightened stress. In order to give your body a break, it is important to practice stress management techniques. Techniques may vary from person to person, but the core concept is the same — find ways in which your body can decompress. Using positive affirmations in stressful situations may help to calm frayed nerves. Getting enough sleep can also go a long way to improving your stress levels. Don’t forget to laugh more and worry less. Many things in your day (traffic, cranky coworkers, etc) are out of your control. Focus on what is within your scope and how you can put a positive spin on a negative situation. 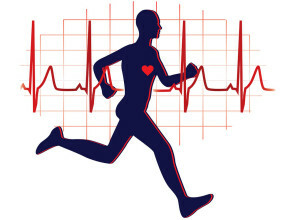 In summary, your heart health is something that you should not put aside for another day, month, or year. Heart health is important at all ages, so take the positive steps now to cut the unhealthy habits out of your life and pick up some healthier, heart-friendly behaviors. Share what you learn with the important people in your life and make heart health a priority for everyone! February National Health Observance, Office of Disease Prevention & Health Promotion, U.S. Department of Health & Human Services, Available at http://healthfinder.gov/nho/PDFs/FebruaryNHOtoolkit.pdf. Accessed January 29, 2015. Bass, Nora. “Stress Relievers.” American Heart Association. Web. 2014. Available at https://www.goredforwomen.org/live-healthy/stress_management/stress-relievers/. Accessed November 16, 2014. Go Red for Women Editors. “Why You Should Quit Smoking.” American Heart Association. Web. 2014. Available at https://www.goredforwomen.org/live-healthy/first-steps-to-prevent-heart-disease-and-be-heart-healthy/smoking-why-you-should-quit/. Accessed November 16, 2014. Silver, Kate. “Know Your Risk for Cardiovascular Disease.” American Heart Association. Web. 2014. Available at https://www.goredforwomen.org/know-your-risk/find-out-your-risk/know-your-risk-for-cardiovascular-disease/. Accessed November 16, 2014. “Coronary Artery Disease – Coronary Heart Disease.” American Heart Association. Web. 2014. ← The Best Time of Day to Exercise?